As a piece of light relief from dressmaking I decided to complete a small project using the 5-piece stack n’ whack technique. This is NOT to be confused with kaleidoscope stack and whack which is very different. Starting with 5 fat quarters of complimentary prints I cut 20 x 9″ squares. I then stacked in piles of 5 squares and whacked through with the rotary cutter according to my template. I mixed up the pieces and then stitched them back into blocks. Having squared up the blocks to 8″ I then made a piece of patchwork measuring 4 blocks across by 5 blocks down. The overall measurement is now 30″ across x 37.5″ long. 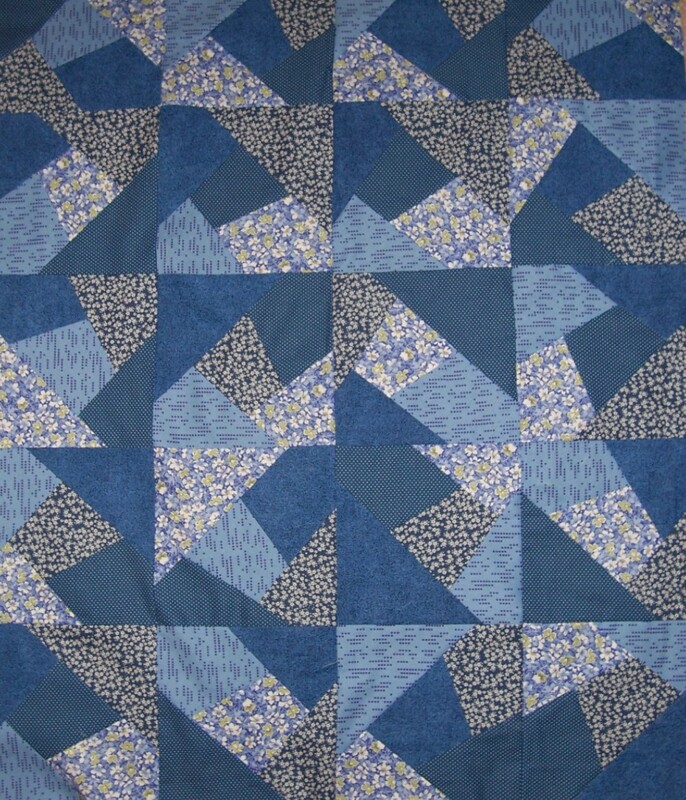 I will add borders to bring the size up to 36″ x 44″ before backing, quilting and finishing with a binding. This is an ideal size to use as a lap quilt.